The first year at Mazzy's was without a doubt a huge success. The community at Mazzy's is very friendly and welcoming to all guests. From the time the game starts to when the clock hits zero, these fans show great emotion during the game and create a great atmosphere. Raffle items will be available to raise money for the scholarship funds. Georgians for Nebraska will be run by a committee this year, and we are proud to announce that there are still positions available to head up this great organization. If you want to volunteer to help in any way, please contact Athene Tenney atathene.tenney@comcast.net, Jackie Maggi at JackieMaggi@bellsouth.net, or Patty Prester at psprester@bellsouth.net. We look forward to join with all Huskers from the Atlanta each and every week! Hey Husker fans! With the spring football game coming up, you are more than welcome to come watch the game at Mazzy's. The game takes place @ 2ET on April 13th. So come on down to support Frost and his team as they prepare for their second year under the head coach. In addition to raffle proceedings, we will be accepting donations for flood relief. Hey Husker fans! Football season may be over, but believe me when I say there are many more things ahead. While the football team had a 4-8 record, I'm proud of the improvement that I've seen from the team and I think they are going to do some special things next year. I'm glad to say that the Wayne State Women's Rugby team is gathering at Mazzy's once again. Come on down to Mazzy's on November 30th @ around 6:30 to show your support for these great women. They will be competing for their 9th national title on December 1st and 2nd. Welcome these players as they travel down to Georgia! Hey Husker fans, our last game of the year against Iowa starts tomorrow @ 12 ET. Come on down to our usual Mazzy's location to cheer on Frost and the team, especially the seniors. Since it's the last game of the year, we are having a special raffle. The two items, a Scott Frost autographed football and a Dooney & Bourke purse, will be included in the raffle. Hey Husker fans! As usual come on down to the usual Mazzy's location for Saturday's game against Michigan State. The game starts @ 12 ET and it will be the last game for our seniors at home. Make sure to come early for seating. Hey Husker fans! Just a reminder that our next game takes place @ 12:00 ET against Illinois. Come on down to Mazzy's Saturday. Make sure to get their early for seating! Hey Husker fans! While Ohio State is favored by 17.5 points, I have a good feeling that it's going to be a close game. However, in our last two match-ups with Ohio State, we have been outscored 118-17. Keep faith in Coach Frost! Hey Husker fans! A wise man once said, "The night is darkest just before the dawn." That man was Scott Frost a couple weeks through the start of the season. While our record shows failure, our team is showing improvement and effort. I love cheering this team on because they're not taking shortcuts. They're doing it the right way. Like the 76'ers fans said, "Trust the process." Hang in there, because the dawn is coming in the future. Hey Husker fans! In case you didn't know, our watch party this week will take place at Mazzy's in Kennesaw. Different location, same enthusiasm. Game starts at 7:30PM ET so make sure to get there early for seating. Hope to see you all there! Address: 3940 Cherokee St NW, Kennesaw, GA 30144. Below is a link of Frost's emotional post-game interview after the loss to Purdue. Hang in there because it could be a long season. No need to worry, Frost has this program steered in the right direction. Hey Husker fans! As I'm sure you're well aware, our first 2018 football game will kickoff Sept 1, 8:00ET at home against Akron. That's right, less than two weeks away! Try and contain your goosebumps with that news. All of you are invited to Mazzy's Sports Bar to come watch the game. The event will be packed so make sure that you get there bright and early. Seating will be reserved for GA4NE members @ 6:30 at our usual spot and in the billiard's room. 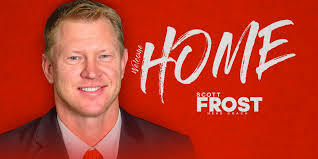 Especially with the hype Scott Frost has brought, many people will crowd Mazzy's, so come on down to support the team. One last note, GA4NE is interested in your ideas for creating a Husker/GA4NE-themed magnet. If you would like to participate, please submit all drawings to a GA4NE board member (board members have GFN lanyards) at Mazzy's during game day. o Beer, Soda, Water, etc. o WEAR YOUR SCHOOL COLORS AND SHOW YOUR SPIRIT!!! Hey Husker fans! As you may already know, the spring football game will take place April 21st @ 12 PM ET. However, make sure you get here early, as doors will open @ 11:30 AM. Since the Alabama spring game starts at the same time, you will want to come early for seating. As for additional news, not only will there be great raffles, but there will also be a contest to determine what our official slogan will be. Once all of you vote on a slogan, it will be put on a magnetized decal. It's about 5.50" in diameter and it sure would look nice on your car (or refrigerator)! Hey Husker fans! If you're interested in viewing this year's spring football game, come on down to Mazzy's on Roswell Road. Doors open 11:30 AM April 21st. There's something special about this spring game, especially since Memorial Stadium will be completely full, the first time ever for a spring game. 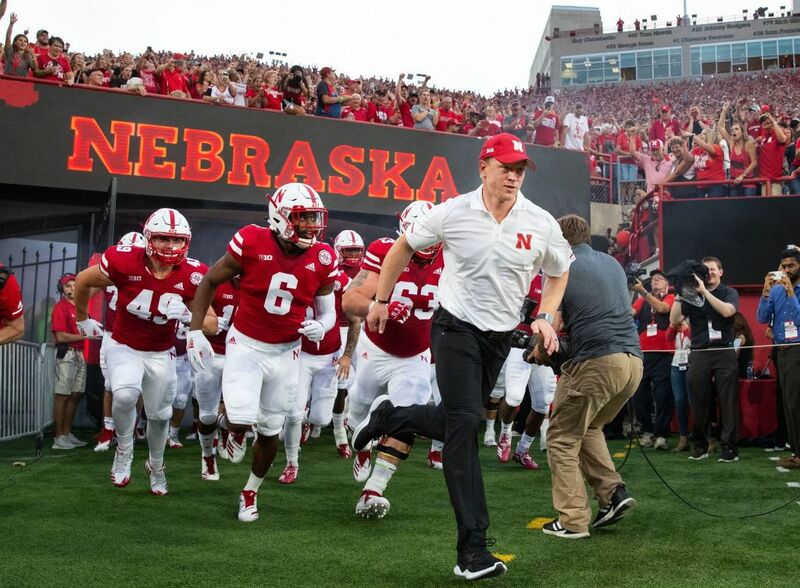 While Husker fans have been suffering for nearly 20 years, the appearance of Scott Frost as the head coach of Nebraska has most of the Nebraska fan-base relieved, hoping that the former UCF coach can bring his home-town Huskers back to national relevancy. While this won't be a quick re-build, perhaps in the coming years we could have a taste of the experiences that we once had in old days. Now you're probably wondering where Nebraska stands in terms of its place in the tournament. As of right now, the Huskers are the #4 seed in the Big Ten Conference. However, Michigan (#5 seed) is currently tied with us in the standings, even though we have the tie-breaker. Both Nebraska and Michigan have 2 more regular season games. To put it simply, Michigan cannot win more than Nebraska in the final stretch of the regular season if the Huskers wish to keep the #4 seed. It's important to stay in the top 4 seeds because those teams are awarded a 2 game bye in the tournament. Should Nebraska drop to a 5th seed, they would have only a 1 game bye. 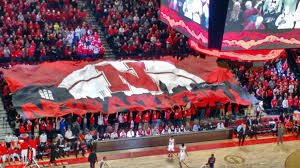 The Huskers play at home against Indiana today 9:00 PM ET. It's a must win scenario if the Huskers want a more realistic chance at the NCAA Tournament. Following, the Huskers will then play this Sunday at home against Penn State 6:15 PM ET in a very important regular season finale. 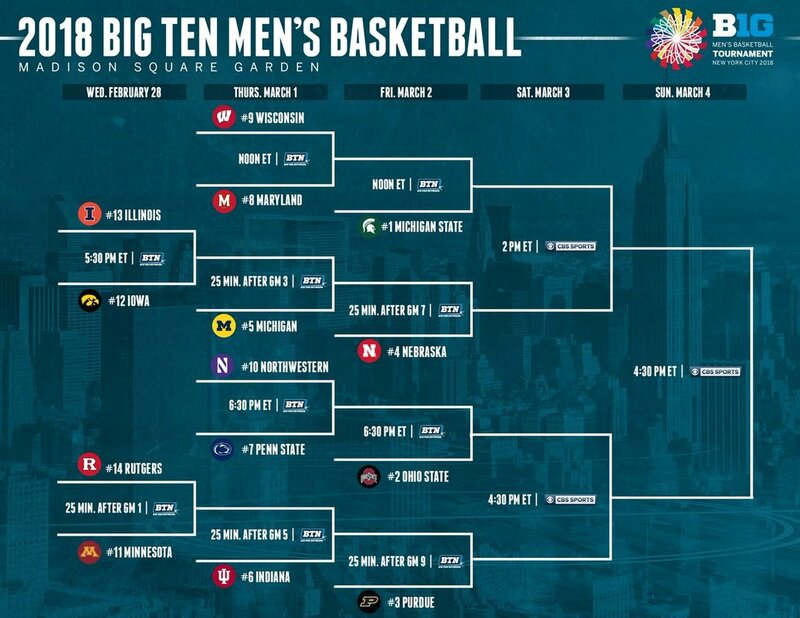 All games in the tournament will be on BTN, with the exception of the Championship which is TBD. A special note from the cornfields of Nebraska, which some of you took part of last year. Close to Norfolk, South Sioux City. If you are a sport fan-HUSKER FAN-from Nebraska this IS FOR YOU! In College women’s rugby. Yes, football without pads! Many of our gals are from Omaha area or from small class C, and 8man Class D schools from THE GOOD LIFE! The game is at Life Univ Campus in Marietta. GPS address to exact location coming up. We will play the winner of York Univ. of Penn or Bentley out of Massachusetts. Last year we defeated Colgate for the national championship. WE WANT TO SEE “The Sea of RED” on Sunday and cheer these Nebraska girls on for a national title of rugby, football with NO PADS. Please plan on Sunday, wearing NEBRASKA RED. Be loud, be proud, and cheer this Nebraska team on. We will send a Georgians for Nebraskan’s TWITTER, Facebook, E-Mail blast. SAT early evening to notify everyone if we win on SAT. As HUSKER FANS, and the husker football season over, we need something to RALLY THE TROUPS and have a very exciting group of Nebraska Boosters. We are 18-0 and defeated Iowa, KU, Missouri, Kansas State and others! Admission is just $5 for Adults to the national championship game. NEBRASKA @ PURDUE GAME MOVED! Yes, it has been moved from Marietta Mazzy’s to the Kennesaw Mazzy’s due to a scheduling problem. Once every season, Mazzy’s in Marietta hosts a fight night. No problem if we have a day game, but if we have a night game, then it is a problem. This year, we have had a multitude of night games and this Saturday is no exception! 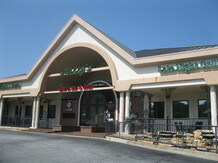 Sooo..we will use Mazzy’s in Kennesaw and it is very nice and new. The address is 3940 Cherokee St. NW, Kennesaw, 30141. Phone number is 770-693-9918. Game time is 7:30pm, but come and eat with us. Please come out and join us. This is a make or break game for the Huskers (and possibly for Mike Riley); it is the second half of our season and we need to win at least 3 games to be bowl-eligible. 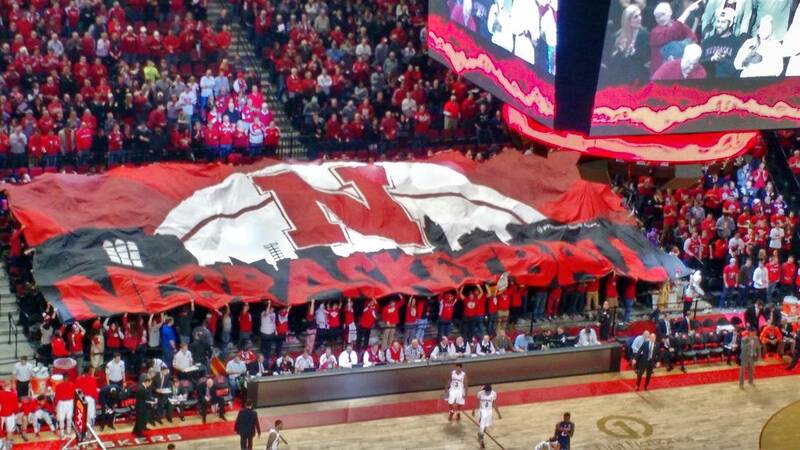 Come cheer loud and strong for our Huskers! And as always……………… GO BIG RED! No game this Saturday, October 21, 2017. We will resume play against Purdue on Saturday, October 28 at 7:30pm. Plan on attending the game and cheering the boys on to multiple victories in the second half of the season. Yes, Wisconsin was the cause of our woes last Saturday night. The Huskers hung with them for 2 ½ quarters, but superior size and talent won out. Give credit to the Badgers; they have a very, very good team. However…we cannot give up on our Huskers. Most fans knew this was a rebuilding year and that is what it has proven to be so far. Hopefully, the boys will continue to make progress and next year will be better. 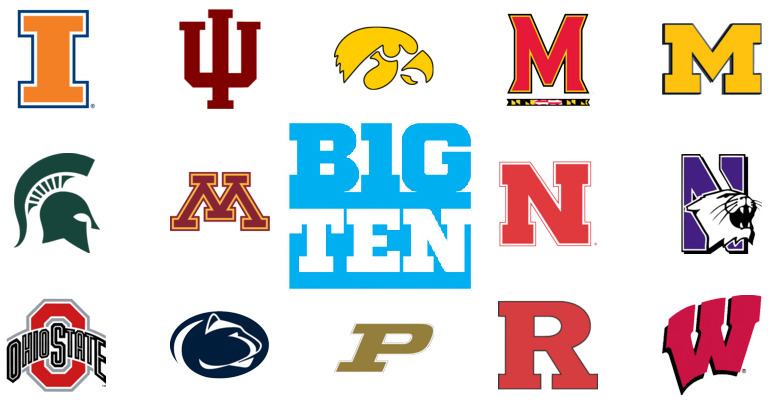 Since Coach Osborne retired, they have had four head coaches and a transition from the Big 12 to the B1G 10. We need some stability in the program and the athletic department. Whatever changes are made, let’s hope they are made with wise, long lasting choices and an eye to the future. We are NEBRASKA!! We had a sparse turnout for the Wisconsin game. Thanks to Shannon Best and the Lautenschlager family for helping out with the many things that happen during a Husker game. Plan to come to the Ohio State-Nebraska game this Saturday. We need to support the Huskers as the boys are giving 110%, but are we? Hope to see you Saturday in scarlet and cream; game starts at 7:30pm, but come early and have a tasty dinner at Mazzy’s. And, as always…. This is the week we find out if the team is for real or at least improving by quite a bit. We play Wisconsin at 8pm on Saturday October 7, 2017. Nebraska has designated this “Black-Out” day, so the stadium should look very dark indeed. If you have a black shirt of any kind, plan to wear it to Mazzy’s on Saturday evening. We are also going to have some awesome raffle prizes. Big games deserve big prizes, right? Come see what a raffle ticket could win! Last year we almost beat the Badgers and no one was expecting it; perhaps karma will be in our favor this year and we will really confound the experts! A REMINDER THAT THE GAME THIS WEEK IS ON FRIDAY NIGHT, AT 8PM, WITH ILLINOIS THE HOME TEAM. COME ON OUT TO MAZZY’S AND SUPPORT THE HUSKERS! It was nice to have a W last week; Illinois will probably be a tougher foe, but if our defense can start in the first quarter, instead of the third, we have a good chance for another W. And…..if we can stop throwing interceptions! What do you think about the AD situation? Will Trev Alberts be named AD? Lots to talk about. Come early and we will have a gab fest!! See you there! GO BIG RED! When the schedule came out a few years back announcing the Huskers home and away series with Oregon, we knew we would make the trip. At that point, Jeff had been to 49 of 50 states, and the only one he was missing…Oregon. So we put it on our calendar and off we went. We flew in to Portland on Thursday and spent the night there. With the wildfires in the area and thick smoke in the air early in the week we weren’t even sure that the game would be played. On Thursday it was a little smoky, but the worst was gone thanks to a rain storm the day before and some favorable winds. We stayed in downtown Portland and saw lots of red (and maroon and gold, too, since the Gophers were playing at Oregon State). We were up early on Friday for a little walk around downtown and the riverfront, but we were anxious to get on the road to Eugene, a two-hour drive. The Alumni Association hosted a Football Friday at Rock Bottom Brewery in Portland that night, but we’d made our plans before the weekend schedule came out, so we stayed in Eugene on Friday night. After the drive through very heavy traffic nearly the entire way, we could only imagine what the traffic would be like on game day (and it’s the same route to Corvallis, where they also had a home game). It was still a little hazy, so we couldn’t see much of the mountains, and it was unseasonably warm for Oregon. We stayed at the Hilton right in the middle of Eugene and it was full of both Huskers and Ducks. It’s always strange to be the “visitors” but the people in Oregon were, without exception, very nice and friendly. We took off on foot to find someplace to have a drink, and within a block encountered a guy coming out of a print shop. He told us that he was born and raised in Eugene, and his son was a dental student at Creighton and he came to the game in Lincoln last year and had a great time. We asked him for a recommendation for a good bar and he gave us directions…then said, “I’m going that way anyway, do you want a ride?” So we hopped in his Suburban and he dropped us off. After a couple of drinks and a snack, we walked down the block to another of his recommendations, Steelhead Brewery, where we met a guy from Kimball who lives in Oregon and was getting good natured grief from a table full of his Duck loving friends. Good craft beer, Oregon Pinot Noir and melt in your mouth trout were consumed, and by the time we left the place was full of both Husker and Duck fans. Since there were some good football games on that someone didn’t want to miss, we passed on revisiting our former party animal selves and retired to our room. Game day was beautiful and sunny and we mingled with Huskers and Ducks in the super-secret Hilton Honors room for breakfast. Everyone was friendly, hoping for a good game and figured that whoever had the ball last would probably win given the defensive woes on both sides. A couple of people asked us what people thought about Mike Riley and agreed he’s a heck of a nice guy. We walked to the stadium on a beautiful trail through the woods and attended the Husker Huddle that was held at the baseball field next door. On our way to the stadium, a 20something Duck fan was handing out beers to people passing by, didn’t matter if you were in red or green and yellow. We made our way to our seats in the end zone and the crowd was mixed, with most of us still commiserating about our lack of defense. The stadium was mostly yellow with some big patches of red, as you could probably see on TV. The stadium was full by kickoff, with only one section of students trickling in during the first quarter. It was a great weekend (with one minor blip, the game) and hopefully someday the Ducks will be on our schedule again. It will be worth a return visit. What can you say when you are down 42-14 at halftime? As ex-Coach Gerry DiNardo (LSU & Vanderbilt) said on the B1G Ten Network, it is either the scheme or the players. Happily, the defense was adjusted and rallied in the second half. They held the Oregon Ducks to zero points after halftime and the offense scored 21 points to make the final score a more palatable 42-35 (Oregon winning). Still, the Huskers cannot continue to be a third and fourth quarter team; they dig a hole for themselves that is just too hard to climb out from. Hopefully, the defense has turned the corner and the offense will limit their turnovers; this team can be very good. 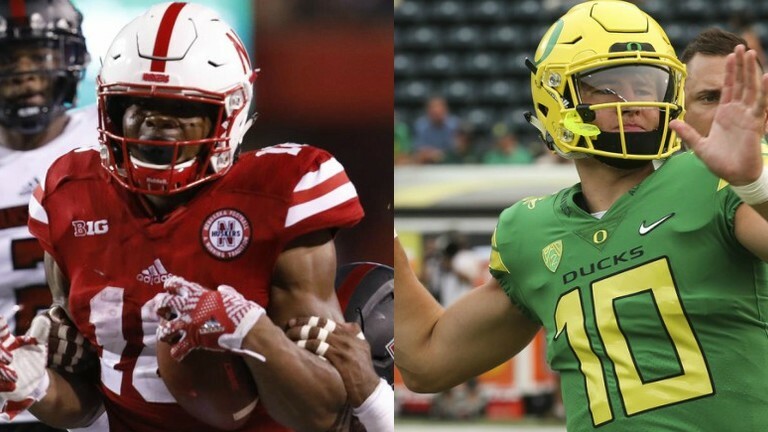 You might like to read the weekly Carriker Chronicles on HuskerMax each week. Adam Carriker was a star player for Nebraska and offers some good insight. The crowd at Mazzy’s was once again great. We had a lot of visitors from other states, some of which came to Atlanta to get away from Hurricane Irma. No matter what state a Husker comes from, you can always count on enthusiasm and good sportsmanship. The game next Saturday, September 16th, is at 12noon and we play Northern Illinois. The Huskies of Northern Illinois are in the MAC (Mid-American Conference) and are Division 1. Their starting QB, Ryan Graham, is out for several weeks with a sprained right elbow, but is ably replaced by backup Daniel Santacaterino. Mazzy’s opens at 11:00am, so come early for a good seat. Hope to see all of you there!! Don’t forget the Braves game on the 24th of September. The Atlanta Big Ten Alumni is sponsoring it and is always a fun time. For more info, go to Braves@BigTenAtlanta.org. You can purchase tickets at http://2017BigTenBraves.eventbrite.com . 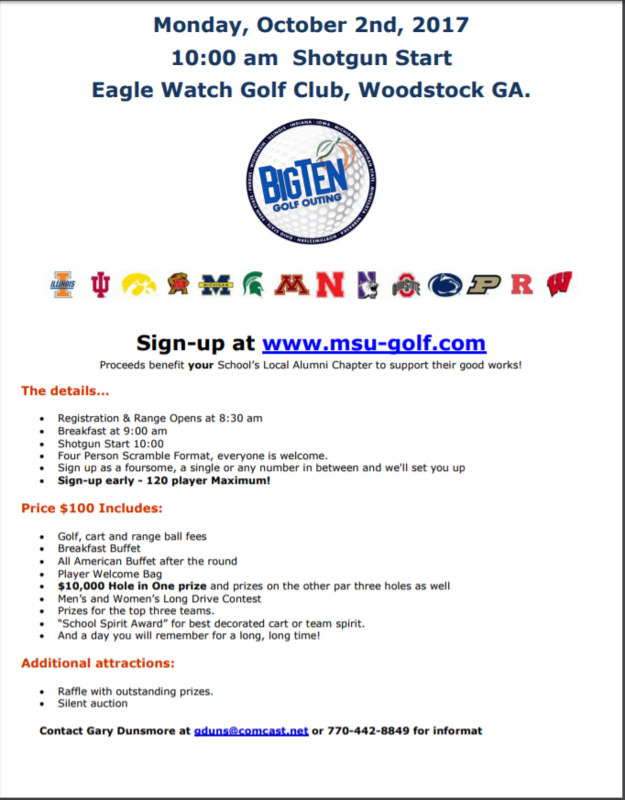 Also, the Big Ten Golf outing is on October 2nd. This is a great time for all alumni and friends. Get up a group and plan to play. All information will be coming under separate cover within the week. The turnout at Mazzy’s was fantastic! We had about 140 folks show up and they were all enthusiastic about their Huskers. Our volunteers were wonderful; they helped out in all areas and we count on them this coming Saturday. The specials in both food and drink were awesome and I am sure there will be more drink specials this week. Note: they have Dorothy Lynch Salad Dressing on hand, so you can order it with any of your salads. This Saturday we play Oregon on their home field. Last year it was a really close game at Memorial Stadium; we are going to need you Husker fans to show up and cheer them on to victory this week. Mazzy’s is the best place, other than Memorial Stadium, to watch our Huskers play football, so plan to spend Saturday afternoon with us. Game time is 4:30pm, but come early for good seating. Join your fellow Big Ten alums as we watch the Braves take on the Phillies from our private area on the Xfinity Rooftop Patio at SunTrust Park! come early for a good seat and a great meal! What a wonderful way to kick off football season and many thanks to Chris! Practically all jobs are inter-changeable and you will see different folks helping out in different areas. If you would like to sign up to help, please let us know. See you Saturday in your RED AND WHITE, with the Husker Band playing in the background and the crowd cheering. 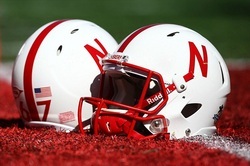 If you can’t be in Memorial Stadium, Mazzy’s is the next best place to watch Husker Football, GO BIG RED!! Nebraska football in 2017 is the great unknown. HC Mike Riley will finally be able to implement his brand of offense in the pro-attack (equal portions run/pass) and implement his style of defense that DC Diaco will use with a combination 3-4 and 4-3, planning to play each style during the game depending upon the situation. Quick pass routes down field, screens, and dump off to RB can be expected mixed in with a pro-style power run game. The big question is the OL offensively and if they can stay healthy; however, the OL is nine players deep this year, so rotation can be expected. The second question is WR experience. With the loss of K. Johnson, (expected to return in January), McQuitty (ACL) and Miles (broken hand), the ranks are somewhat thin. There are quality backups, but these losses hurt. 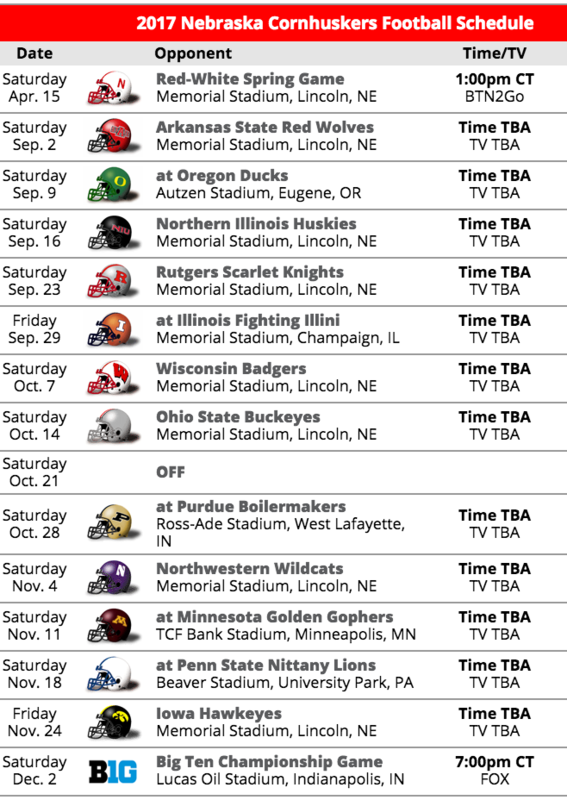 Early projections have Nebraska with a 7-5 record, but we are all hoping for better. The Huskers play 3 of the top 10 preseason picks and a total of 5 preseason picks in the top 30. Nebraska fields eight returning offensive starters and seven returning defensive starters, assuming that CB Jones is out for the year. The Arkansas State Red Wolves are a fundamentally sound football team, going to six straight bowls and winning the Sun Belt Conference 5 of the last 6 years. And they did this with four different coaching staffs! Do not under estimate this teams ability to play ball! Their QB yards per completion rate last year was 21st in the nation and he is back again this year. However, their running attack was anemic. ( last year they were 8th nationally in sacks and 2nd nationally in tackles for a loss). You beat the Red Wolves by stopping their run game and forcing them to pass and play catch up. Defensively the Red Wolves are fairly sound overall; however, if a weak slot does exist, it is in the secondary. The Red Wolves are generally considered the favorite to win the Sun Belt Conference in 2017, returning five offensive starters and six defensive starters. On a different note, you can always look forward to fun times at Mazzy’s. We will have some Husker drink specials and possibly a favorite Nebraska addition to a salad. Chris, Mazzy’s manager, is busy working on these items and will make our kickoff game special for all of us. We will tell you all about them next week. Next week, a listing of all volunteers and officers for GA4NE will be published also. We still need a few key positions filled, so please think about stepping up! And as always……GO BIG RED!! What a great turnout for the organizational/volunteers meeting on Sunday! The enthusiasm was wonderful, as were the suggestions. fund and this year a young man from the Atlanta area will be receiving our support. More information will come in the future about this aspiring baseball player. September 2nd at 8:00pm is the magic hour for the start of the 2017 season! Come early to snag a seat; the first game of the season is always extremely well attended. Mazzy's is going to have some drink and food specials, and they never disappoint. Wear your red, get ready for some Husker music and catch up with your football buddies; it is HuskerTime! Check out our new Webpage. Aaron and Austin Lautenschlager are in charge and they are doing some exciting things. We now have a podcast called Corn-on-the-Cobcast and it is not only catchy, it is full of information. More innovative, good things are coming! See you on Saturday, September 2nd…..GO BIG RED! 2323 Defoor Hills Rd. NW, Atlanta 30318. Cost and time to be advised. Includes picnic food, beverages, corn hole competition, games for the kids and adults. More info on how to purchase and cost of tickets are below. B1G Braves Game – Sunday, September 24, 1pm – 5pm. Come see the new SunTrust Park stadium and watch the Braves wage battle against the Philadelphia Phillies. There is no tailgating space at the new stadium, but they have awesome areas to watch the game and party. More info on how to purchase and cost of tickets will be coming. 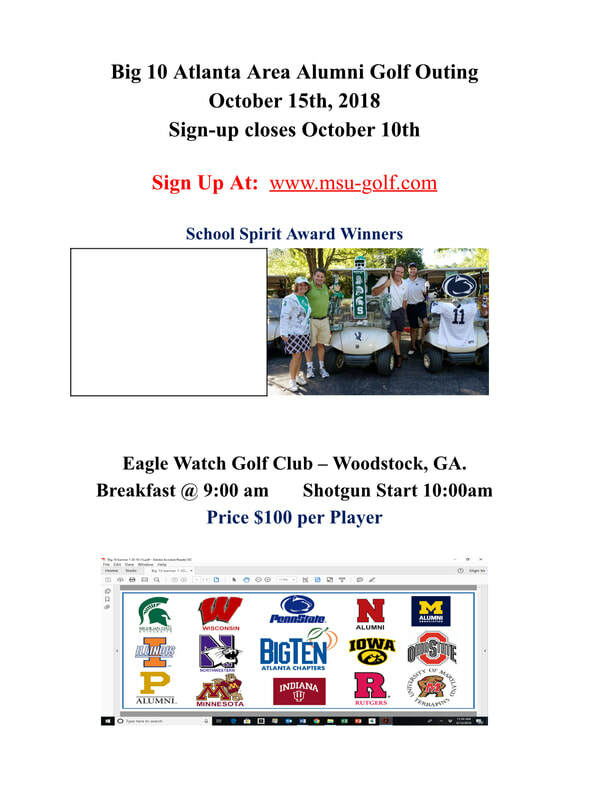 B1G Golf Outing – Monday, October 2. Eagle Watch Country Club in Woodstock. Will send more info in September. A great, fun time! Hope to see a lot of you on August 13th at Mazzy’s in Marietta! 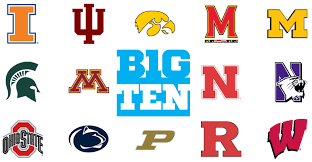 Following is information on the B1G Ten picnic and it will link you to a place to sign up and pay. The picnic is one of the best parties of the year. If you are able, plan on going, it is so worth it! § WEAR YOUR SCHOOL COLORS AND SHOW YOUR SPIRIT! A special thank you to all the schools, members and friends for donating their time, effort and money to make this event the success it is! Georgians for Nebraska is a 501c(3) not-for-profit organization. All proceeds regenerated go to the Georgians for Nebraska Scholarship Fund. We also provide opportunities to donate/participate with various non-profit organizations as well. The Georgians for Nebraska scholarship fund helps high school Georgian students with scholarships to attend school at the University of Nebraska-Lincoln.